Review the upcoming Women of Today events and dates at-a-glance. Mark your calendar and enjoy the friendships you make as you help with community service events or attend a personal enrichment course. 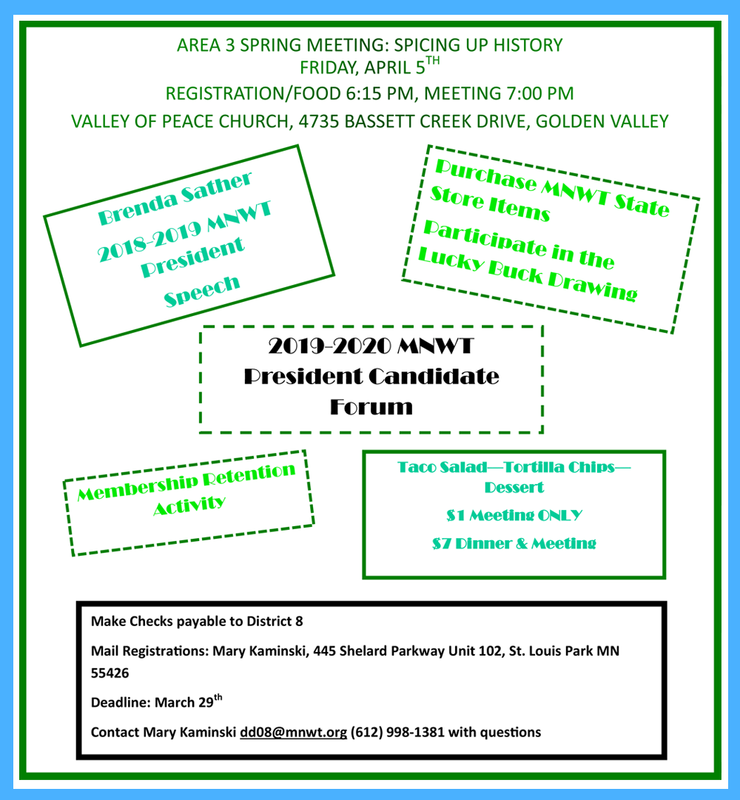 The area meeting is a great time to hear the candidates for State President and her prospective staff. This year's President will get the chance to address your area for the last time, come and listen to her inspiring words. Mark your calendars and make it a fun time for you and your chapter members. Mini training sessions will be held. Area 3 Annual Meeting - meet President and Treasurer candidates; last visit by current President.